Dress: Civvies – dress warm as we will be outside the entire time! Notes: For any cadet interested in being a part of the Survivair team this year – this is a team who will compete at the end of May in various survival and fitness related activities against all of the other squadrons in the province. We need 2 level 1s, 2 level 2s, 2 level 3s, and 2 of any level to make up this team to be able to compete. Be sure to bring note paper and writing utensils, and be prepared to build fires and possibly shelters. 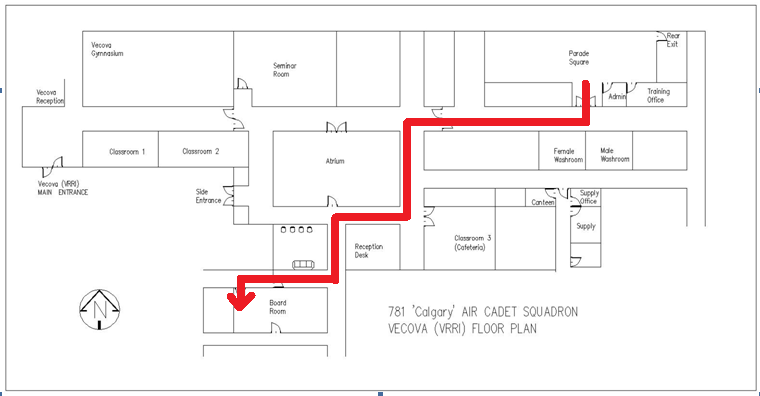 Level 1 cadets are asked to bring some scissors from home as they will be constructing airplanes in the second two blocks!